The distance from the 12th Legislative District to the state Capitol makes it a challenge for people to visit with me while the Legislature is in session. Also, our district covers so much territory that there is no convenient central meeting place here. That’s why I am excited about my upcoming “listening tour” of all four counties in the 12th District. It will start Thursday, October 5 and wrap up on the morning of Saturday, October 7. The idea is to hear directly from the people I serve – where they are. 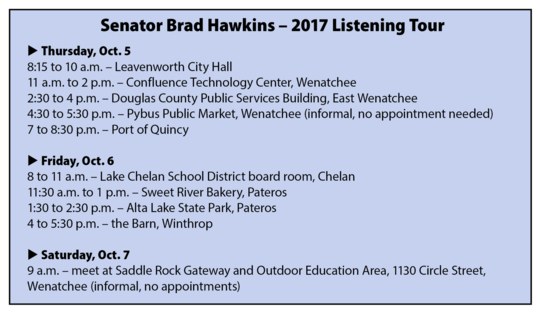 I expect to make the listening tour a regular entry on my calendar and will visit different communities in coming years. Details about the tour and how to participate are below. If you are interested in arranging a time to visit when I get to your part of our district, please email me at brad.hawkins@leg.wa.gov or phone my legislative office at 360-786-7622. 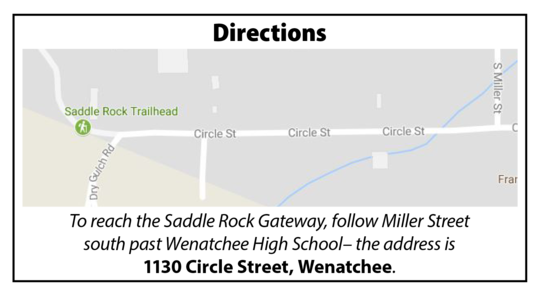 No appointments will be needed at the October 5 stop at Pybus Public Market in Wenatchee or the Saddle Rock Community Hike on October 7. My legislative assistant Jack Grimm will help with the scheduling and be on the tour with me; we will also be joined by other Senate staff. Organizations that have met with me in the past will notice the timing is earlier. However, getting together in October is good because the Senate committees meet in November to prepare for the 2018 session. Also, it lets everyone steer clear of the crazy schedules common around the holidays. Again, if I’ll be in your community when it is convenient for you to meet, contact me and let’s work on making an appointment. I look forward to hearing your thoughts and concerns. The final stop on my district listening tour will be Saturday, October 7 at 9 a.m. at the new Saddle Rock Gateway and Outdoor Education Area. 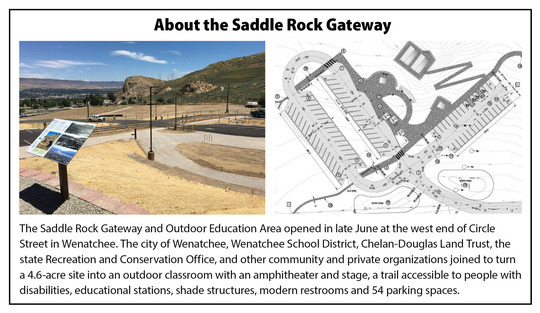 Our part of Washington was already rich with opportunities for learning and exploring the outdoors, but as the information below shows, the Gateway project is another jewel. We can visit at the Gateway; however, I’m planning to hike up Saddle Rock that morning and invite you to join me – in which case we can talk along the way or at the top. 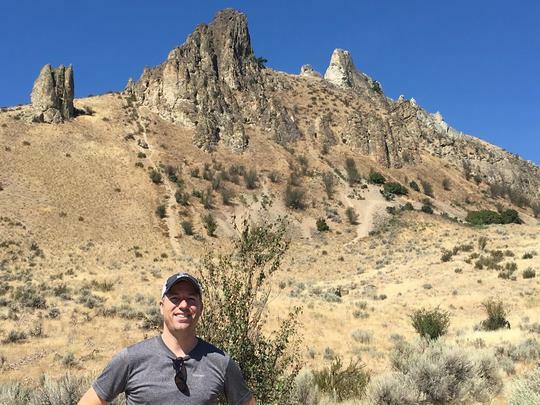 I like the idea of ending this first district tour at an iconic Wenatchee Valley location that is better than ever, thanks to the cooperation of people and governments at different levels. Thank you again for the opportunity to serve as your 12th District state senator. Please contact my office anytime if you have questions. To tell me "no thanks," simply click here, enter the e-mail address that received the newsletter, click "submit," then click "delete my account." You may also stop receiving my update by sending an e-mail to my office (brad.hawkins@leg.wa.gov).